VERNON EUGENE HAMILTON, 87, of Jasonville, Indiana passed away at 7:30 a.m. Monday, March 25, 2019 in his residence. He was born October 3, 1931 in Linton, IN, the youngest of 5 children to Alpha Hamilton and Delpha (Boling) Hamilton. Survivors include his wife of 63 years, Janice (Borders) Hamilton of Jasonville; children, Veronica Hamilton, Jan Hamilton, Tony Hamilton all of Jasonville; grandchildren, Kelly, Brandon, Brock, Dina; great-grandchildren, Lexy, Mason, Evelyn, Elaim; several nieces nephews and cousins. He was preceded in death by his parents; siblings, Wilma, Delema, Mary, Lee, Jasper. 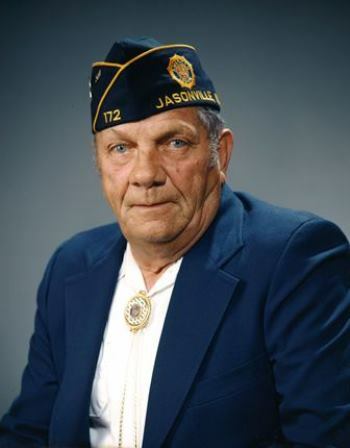 Vernon was a U.S. Navy Veteran of the Korean War and a long-time member and post commander at the Jasonville American Legion Post #172. He was a member of the Masons. He loved to hunt, fish, plant a big garden, and hang out with friends playing cards. He loved his family and grandchildren dearly. At his request there will be no visitation. Graveside services with military honors will be held at a later date. There will be a gathering for family and friends at the Jasonville American Legion on Saturday, March 30, 2019 at 2 p.m. Arrangements are entrusted to Michael W. Cox, Cox Funeral Home; 218 South Meridian Street; Jasonville, Indiana.